The AWS Tools for Microsoft Visual Studio Team Services (VSTS) are extensions for Microsoft VSTS and on-premises Microsoft Team Foundation Server (TFS) that make it easy to deploy .NET applications using AWS. If you already use Microsoft VSTS or TFS, the AWS Tools for VSTS make it easy to deploy your code to AWS using either AWS Elastic Beanstalk or AWS CodeDeploy. 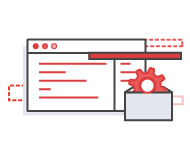 No changes to your existing build/release pipeline and processes are required to integrate with AWS Services. You can even deploy serverless .NET Core applications and .NET Core C# functions to AWS Lambda. 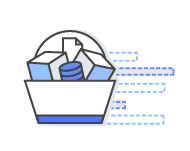 The AWS Tools for VSTS allow you to deploy AWS CloudFormation templates, so you have an easy way to manage, provision, and update a collection of AWS resources from within VSTS. AWS Tools for Visual Studio provide integration with many AWS services, which make it easy to store build artifacts in Amazon S3, run commands from the AWS Tools for Windows PowerShell and AWS CLI, and manage notifications through Amazon SNS or Amazon SQS queues. You can start using the AWS Tools for VSTS at no additional cost from the Microsoft VSTS Marketplace, or on Github. With the AWS Tools for Visual Studio Team Services, you can use the build/release pipeline you are used to and still take advantage of many AWS Services including Amazon S3, AWS CodeDeploy, AWS Elastic Beanstalk, AWS Lambda, and more. You can deploy your .NET applications directly to AWS from within the Visual Studio Team Services interface with either AWS CodeDeploy or AWS Elastic Beanstalk. By using the AWS Tools for Visual Studio Team Services, you can create, edit and manage AWS CloudFormation templates from within Visual Studio Team Services.